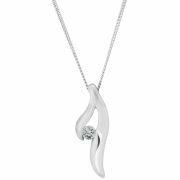 Elegant diamond pendant, made with love. Pendant drop is approx. 15mm long. 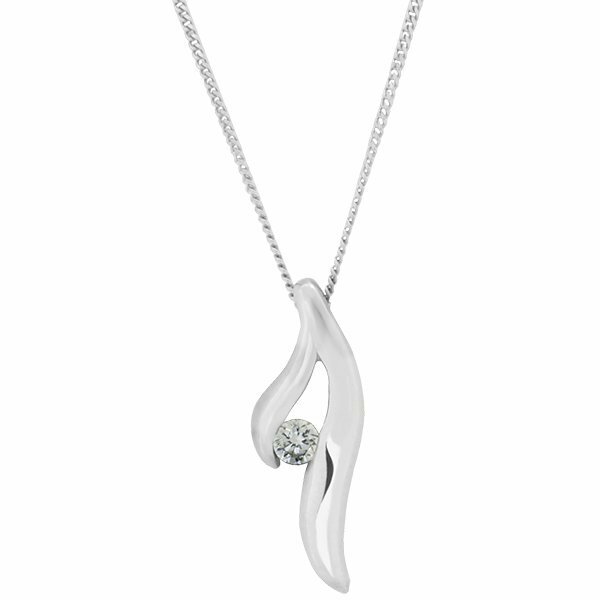 The metal used is 9ct white gold, the highest quality white gold metal. Includes a 45cm 9ct Fine White gold chain 0.6mm 4269. All diamond are selected for the quality of Bakalian designs. This piece was designed and produced by BB Deigner Jewellers.